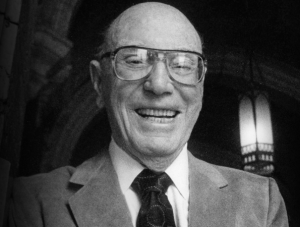 John L. Dales attended Stanford University and worked as a lawyer in his native Los Angeles before joining the staff of theScreen Actors Guild as its resident counsel in 1937. He served as the Screen Actors Guild’s Executive Secretary from 1943 to 1973, and helped to usher in a period of labor reforms that continue to benefit performers to this day. Initially, Dales was involved in enforcing the rules governing various Screen Actors Guild contracts; however, he became increasingly involved in negotiations for improved working conditions for background performers and the formulation of agency regulations. With the emergence of the television industry as a new source of employment for performers, Dales was instrumental in expanding the Screen Actors Guild’s jurisdiction by helping to institute a new contract to cover the then nascent TV commercial industry. His steadfast strategies, along with a principled belief that union members deserved greater respect, led to a series of concessions from the major movie studios that provided increased security and compensation for working actors. During his tenure at the union, John L. Dales served as chief negotiator throughout the presidencies of several high profile members including Ronald Reagan and Charlton Heston. After retiring from the Screen Actors Guild, Dales served as president of the Motion Picture and Television Fund from 1980 to 1988. 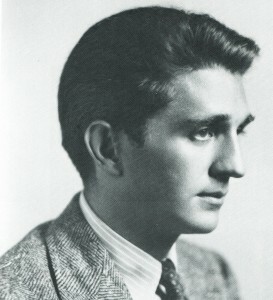 George Heller was a founder of the legacy American Federation of Radio Artists (AFRA). He served as the New York Local Executive Director from its inception in 1937 until 1949, and became AFRA’s National Executive Director in 1946. In 1952, the union added the “T” for “Television” to its name, and George Heller became AFTRA’s first National Executive Director, a post he held until 1955 when he unexpectedly passed at the age of 49. Among his many accomplishments in the field of labor, Heller’s final and perhaps greatest was negotiating the AFTRA Pension and Welfare Plan, known currently as the AFTRA Health and Retirement Funds. This plan was the first multi-employer plan established in the United States and the first in the entertainment industry to provide health coverage and retirement security to its members. The George Heller Memorial Scholarship Fund was established by the legacy American Federation of Television and Radio Artists (AFTRA) National Board to honor George Heller. The Heller Scholarships have been given to hundreds of legacy AFTRA and now SAG-AFTRA members and their dependents since 1967.